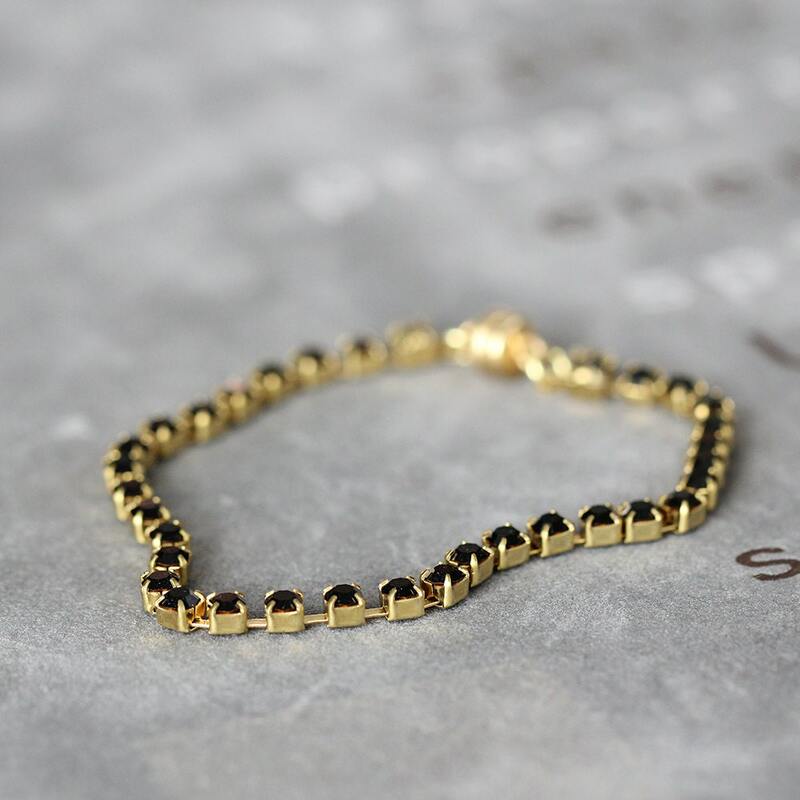 Simple, classic, and elegant, this black rhinestone bracelet speaks volumes when it comes to making a statement that is both distinguished and feminine. 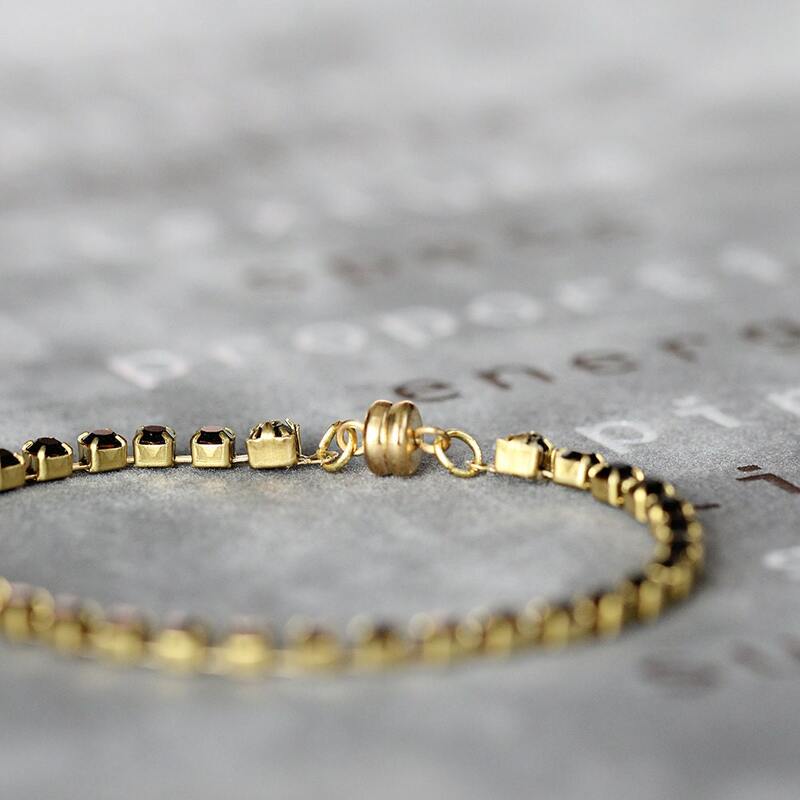 Perfect worn alone, but spectacular layered and stacked with other bracelets. 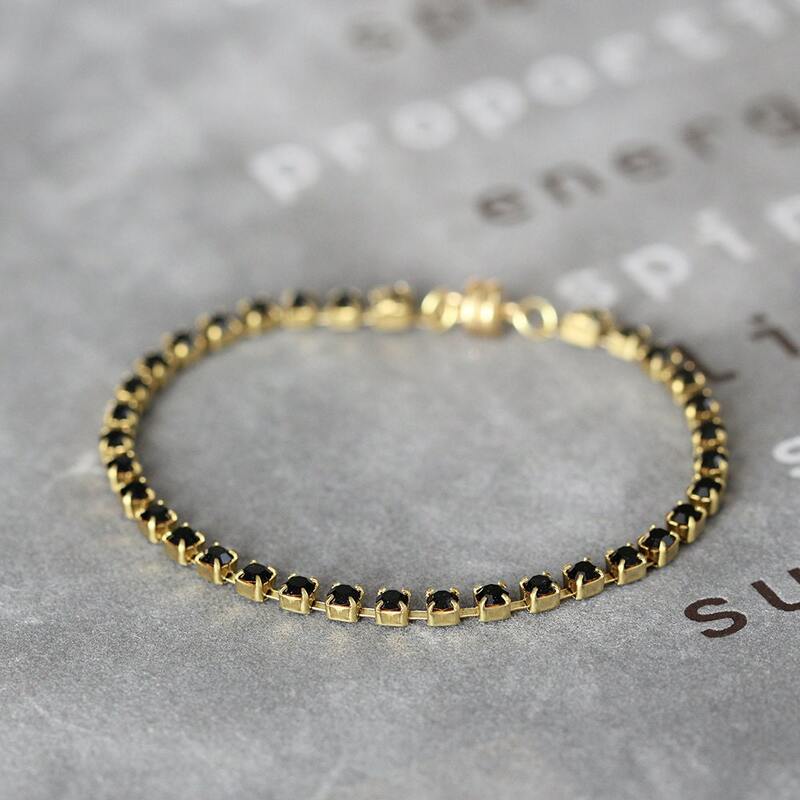 It can look fantastically modern and smart worn with a white shirt or a black cocktail dress. Also looks fab with jeans and casual outfits. 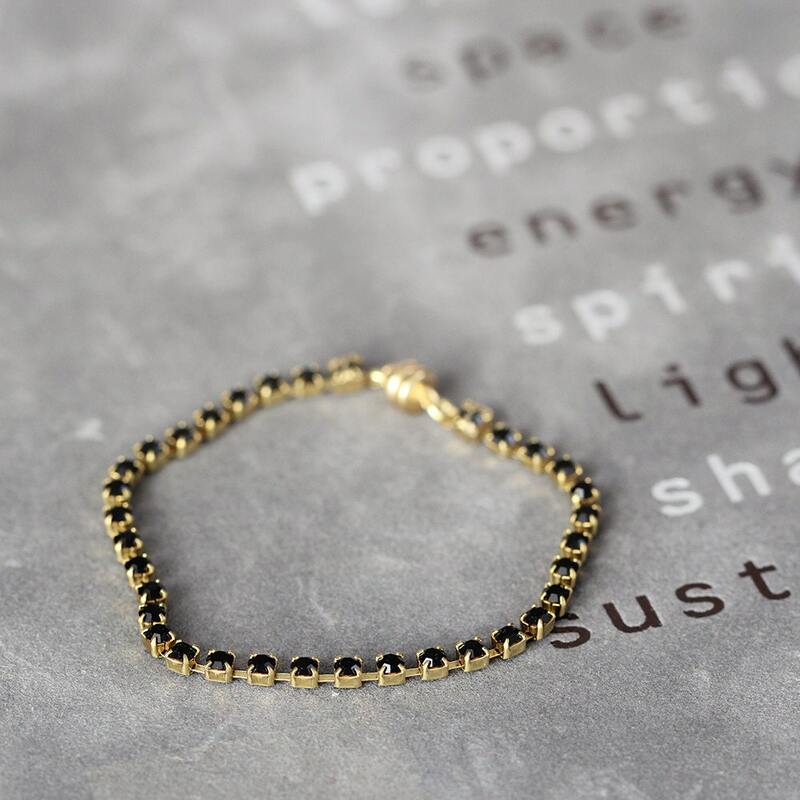 This sparkling bracelet is a fantastic feel-good accessory - light-weight and hassle-free - finished with an extra strong, gold-plated, magnetic clasp so you won't have to struggle to do it up.